The 3 X 5 XL Super Tee Golf Mat is a fantastic indoor / outdoor golf mat for golfers who want to use real tees and who want the feel of a fairway at a great price point. The Super Tee Golf Mat is 1 1/4 inches thick and 3 X 5 feet in size and is made with highly durable 100% spring crimped nylon. The turf will not fade, bunch, or leave residue on your club. The mat can be used indoors or outdoors on a flat surface. 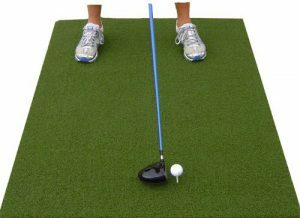 The thickness of the mat allows golfers to make an ascending or descending impact while simulating the feel of hitting off of a fairway. Golfers will know when they hit the ball too “fat” because the thick turf will slow the club head. One of the biggest advantages of the thick and dense turf is the protection it offers to a golfer’s wrists and elbows. We have all gone to a golf range that has thin golf mats placed on concrete. After a full practice session on those mats we often experience significant arm pain. The XL Super Tee Golf Mat’s cushioning effect all but eliminates the jarring impact. While the thickness of the mat is a significant benefit there are other advantages to the mat based on its design. The 3 X 5 foot size of the mat allows golfers to stand at the same level as the ball whether using a wedge or a driver. In addition, the Super Tee Golf Mat allows golfers to use real golf tees. 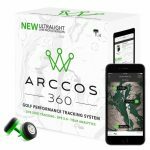 This feature enables golfers to use varying height tees for irons through drivers. And, a real tee offers a true hitting experience as opposed to the deflection caused by a thick, stationary rubber tee. Buy the 3 X 5 XL Super Tee Golf Mat! Hit down on the ball.